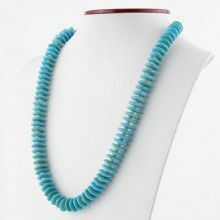 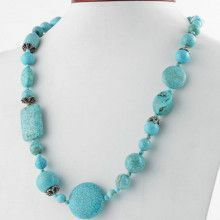 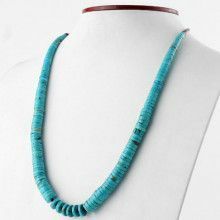 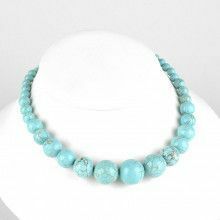 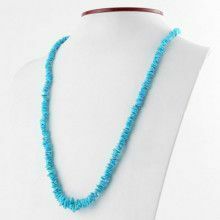 This stunning necklace features natural turquoise beads. 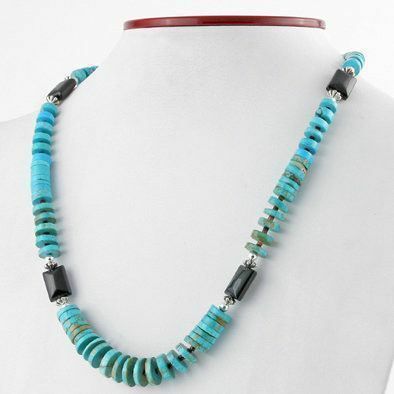 The blue turquoise is accented by deep black pieces of jet. 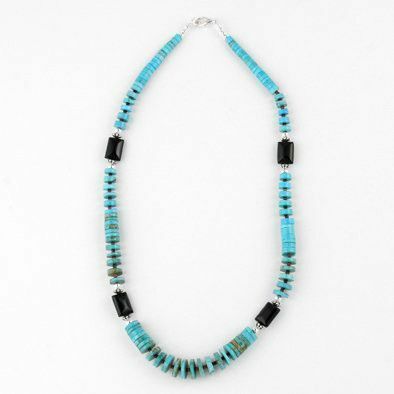 The turquoise beads range from 1/8" long to 1/2" long while the jet pieces measure Approximately 1/2" long x 3/8" wide.